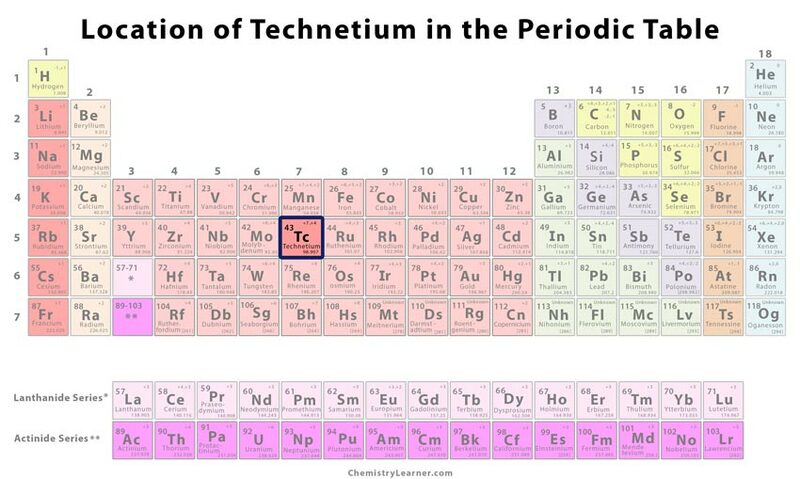 A radioactive metal, technetium (pronounced as tek-NEE-she-em) is the first synthetically produced element. 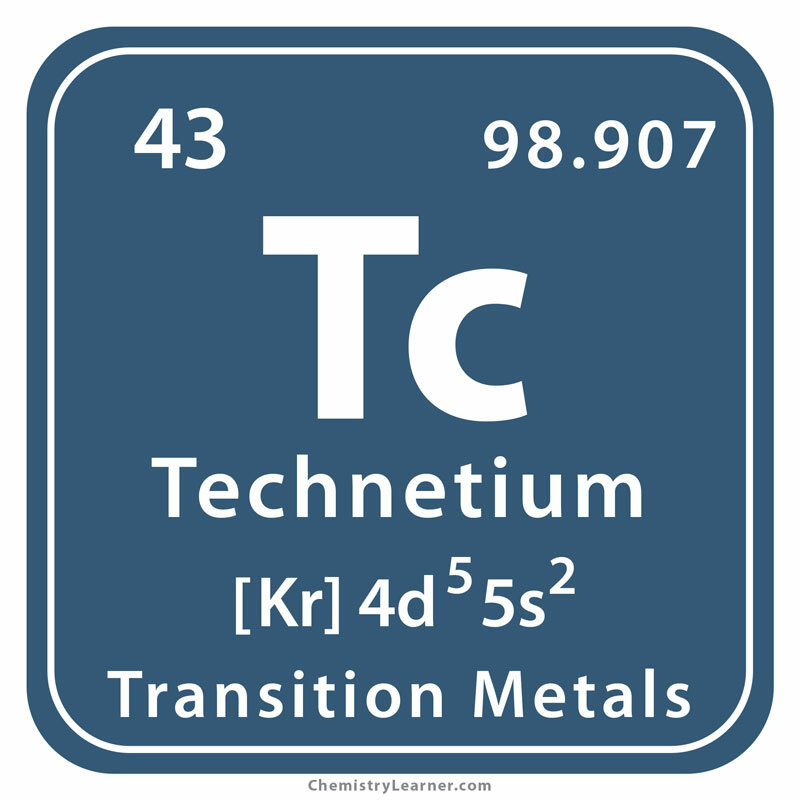 Denoted by the chemical symbol Tc, it belongs to the family of transition metals . 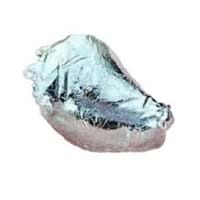 Origin of its Name: The name of the element is derived from the Greek word ‘tekhnetos’ which means artificial . In the 1920’s, there were claims about its discovery through spectrum analysis. However, nothing was officially confirmed. In 1937, when Segre in Italy analyzed a molybdenum sample from California that had been subjected to powerful radiation, he isolated a new element that was later named ‘technetium’ from it . It is added to steel in minor amounts to inhibit corrosion and provide protection from long-term damage . 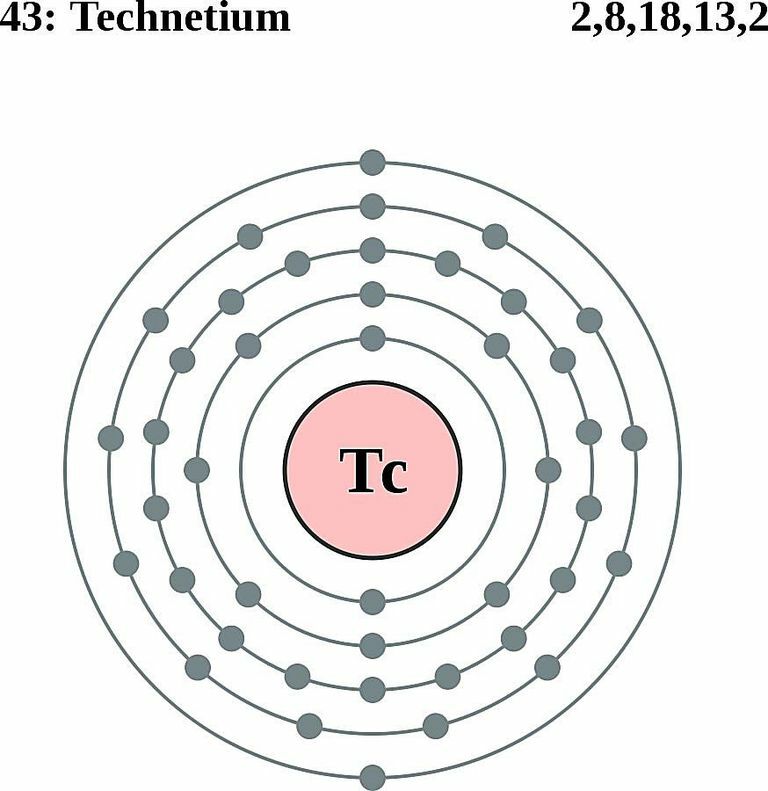 Technetium-99m, a short-lived isotope of technetium-99 (a byproduct of nuclear weapon explosions) is used as a diagnostic imaging tool for carrying out a sestamibi scan of different parts of the body . Intravenous administration of a gamma-emitting colloid called technetium Tc-99m Sulfur Colloid is done to scan the gastrointestinal system, including liver and spleen . When combined with tetrofosmin, technetium Tc-99m is useful in cardiac imaging after a stress test. 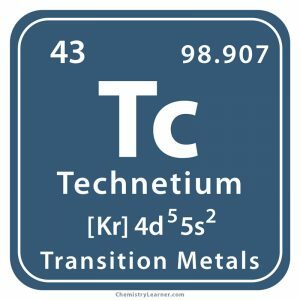 In hospital and radiopharmacies, technetium tc-99 generators are used to extract medical isotopes [7, 8]. 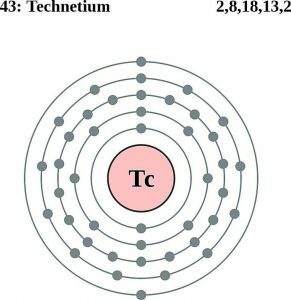 Technetium pertechnetate is more effective than radioactive iodine in detecting thyroid abnormalities . The symbol of the element is depicted by human hand to show that it’s artificially produced . Although a radioactive and man-made element, it is commercially available, costing anywhere between $60 and $70 per gram.